Chronic back pain is measured by duration — pain that persists for more than 3 months is considered chronic. It is often progressive and the cause can be difficult to determine. Since Thai massage is both a mechanical and energetic modality, it has been a source of relief for both short and long term back pain issues. The impact Thai Massage has on the body is similar to that of yoga. The stretches guide the body back into proper alignment, improving overall posture. Thai Massage has been proven to correct skeletal problems, even counteracting some degenerative spinal diseases such as kyphosis, scoliosis and lordosis. Improved posture allows joints to move within their intended ranges and positions, reversing and / or preventing pain within the them. The opening created by the stretches in Thai Massage relieves excess stress on the skeletal body including the spine. 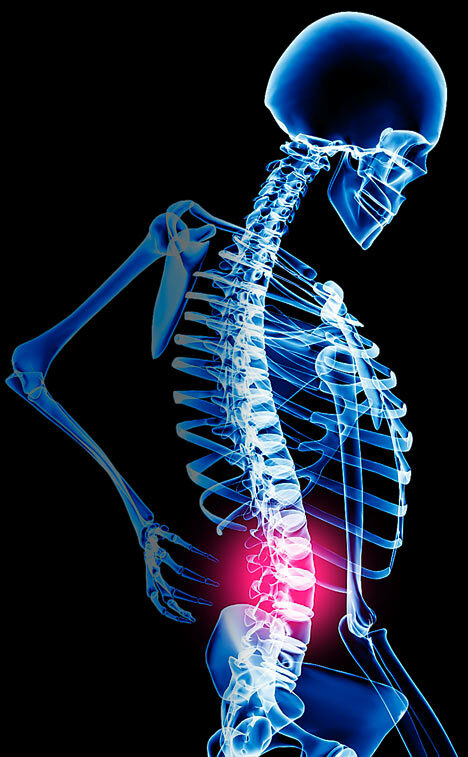 The reduced stress on the on the skeleton reduces stress on the low back. Some joint pain is caused by tight (shortened) muscles which pull on the muscles, causing pressure and sometimes misalignment on low back muscles.. The combination of gentle massage and stretches in Thai massage relaxes and lengthens tight muscles. This takes pressure off the back and allows them to fall back into proper alignment, relieving the pain. Additionally, the muscular flexibility gained in a Thai massage allows for greater range of motion. Thai massage can help with chronic low back pain.